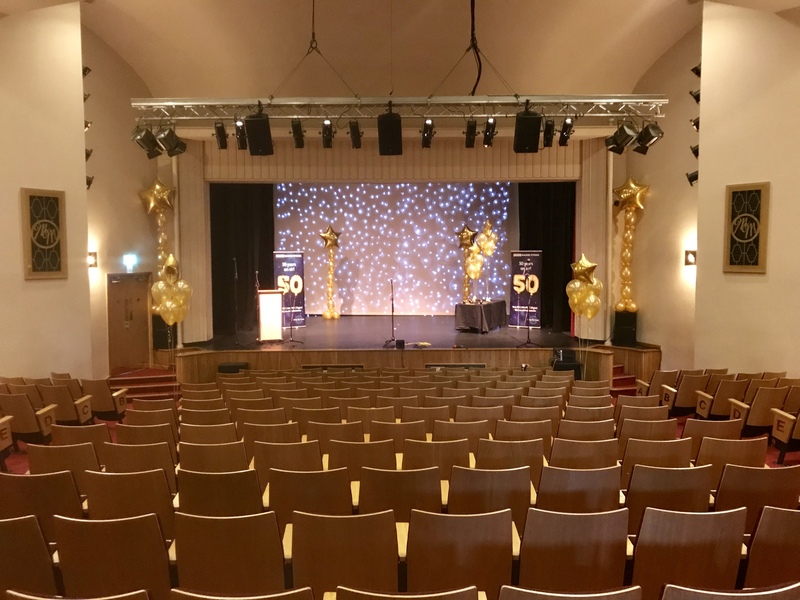 Our 316 seat auditorium is perfect for conferences with its state of the art screen and projector which can be linked to any device and controlled on-stage or via our lighting and sound booth; meanwhile our smaller meeting rooms are perfect for that sales kick-starter or first-aid training you've been meaning to get booked! The whole building has free WiFi and we also have free parking (over 300 spaces) situated behind the building courtesy of Tesco. We have a special arrangement with Tesco and so delegates using the Tesco car park must input their registration plate number into the small screen located in the foyer of the MAC to gain all-day free parking and avoid any charges. We also have catering options and competitive Day Delegate Rates available - for more information or to get a hire quote send your enquiry to sophie@mitchellartscentre.co.uk or call 01782-409307 (10am-5pm).